Founded in Maine in late 2008, Tiny Fires is comprised of Guy Capecelatro III, Dylan Metrano (Tiger Saw), and Jeremy and Jerusha Robinson (South China / Brown Bird). Shimmery guitars, primal drumming, tap-dancing, and distorted calliope keyboards curiously blend underneath entrancing four-part harmonies, creating a brand new unique sound that is a bold beginning for the band. 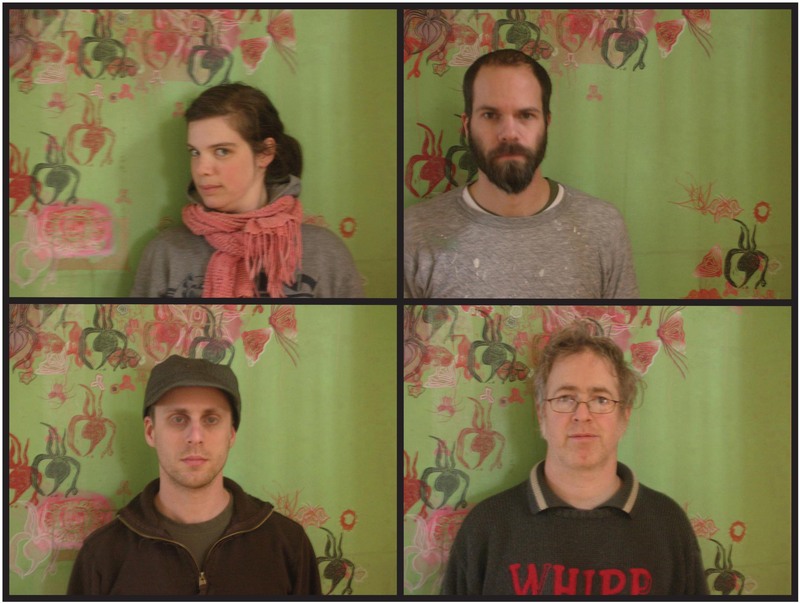 The group was originally called Paper Birds, and toured with the band Castanets in November 2008, and performed in a set they designed, including multi-tiered backdrops and hanging bird-printed book covers. They transformed the stage of each venue into their own little world, and let the stories in their songs unfold in a theater of their making. In 2009, they played shows with friends Phosphorescent, Jason Anderson, and Viking Moses. In April 2009, to avoid confusion with a similarly named band, they changed their name to Tiny Fires.